We'll depart Toronto during the early morning traveling to Kingston (We will substitute Kingston with Algonquin during end of Sep to mid Oct) Afterwards， we'll head to Ottawa， the capital of Canada， We will visit Parliament Hill (Exterior)， Ottawa River， Rideau Canal and the Canadian Museum of Civilization (optional， admission not included). 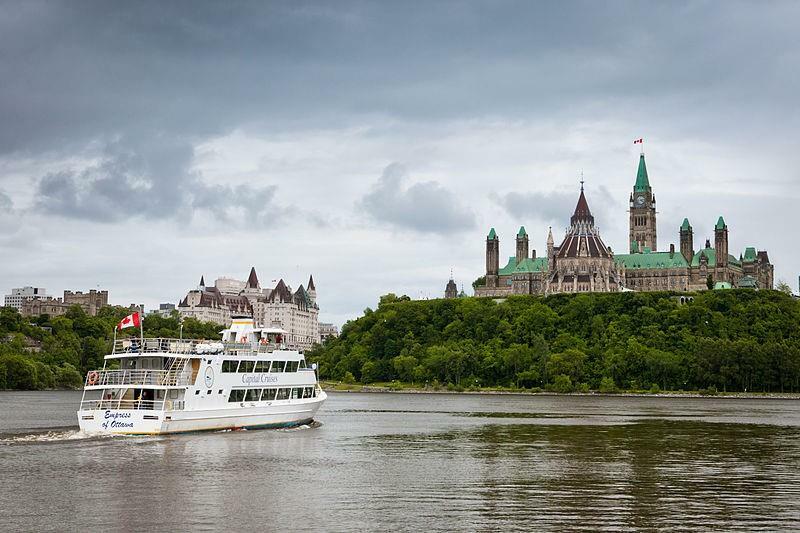 After that， exclusive arrangement to take the Ottawa [Capital] Cruise (optional， admission not included) that offers a spectacular view of the city and allows you to see the river as it was used long ago: as a highway to transport resources. You will also see the natural beauty of the region. Canadian War Museum instead>. We will have a special Cheese Fondue Dinner (fee applies) After dinner， we will spend the night in Ottawa. In the morning， we will go to visit the West Block of the Parliament Hill， The House of Commons (by government allowance). If we visit from late June to mid-August， we may have the chance to see a guard changing ceremony， depending on weather conditions. 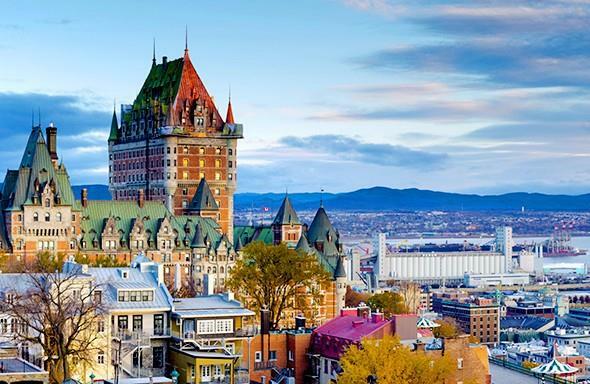 Then， we will drive to Quebec， where we will visit the Historic District， Chateau Frontenac， and Place Royale. First， visit the Quebec tower (Fee applies) to view city skyline. 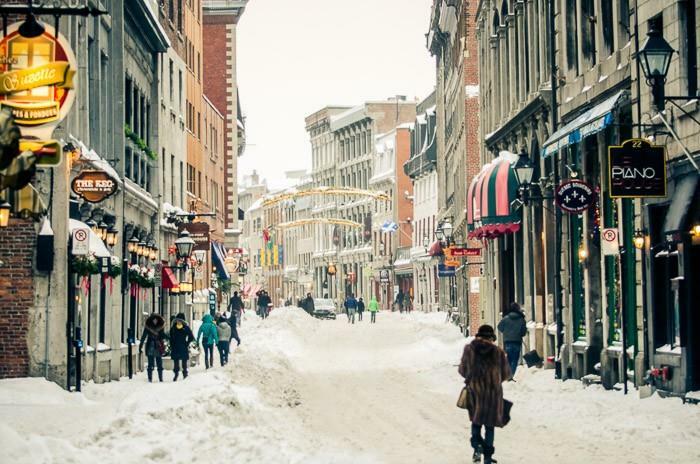 Then explore Old Quebec City， You can also have a nice， delicious French dinner (Fee applies) in the romantic city. In the morning， we will visit the Albert Gilles Copper Art & Museum. Afterwards， proceed to Canyon Sainte-Anne to see the area's amazing waterfalls (fee applies). Quebec's Canyon Sainte-Anne is a breathtaking gorge with high suspension bridges that enable safe passage from one side to the other as you look down at the roaring waters below. (Seasonal itinerary - canceled from mid-October to mid-winter). The highest bridge is 243 feet above the water. 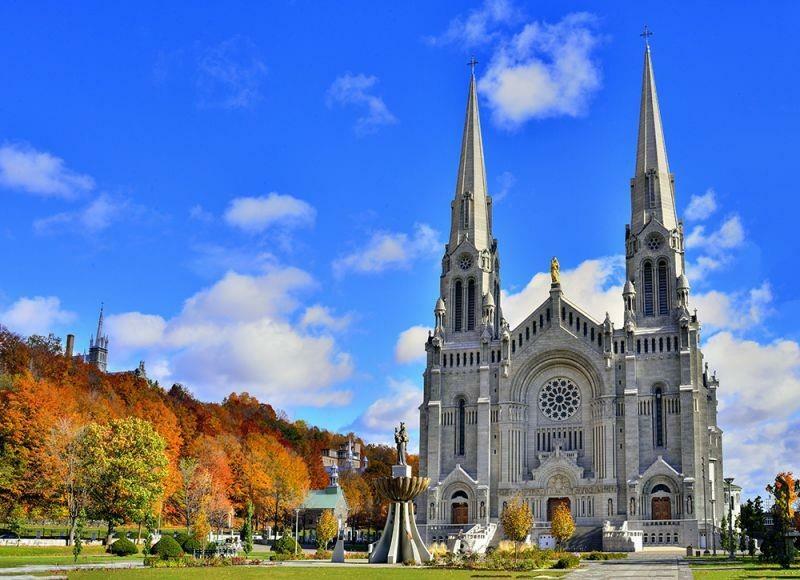 Head to Saint Anne de Beaupre Basilica (Donation CAD$3/ person)， we also will arrange a traditional lunch at Maple House (fee applies). After lunch， we will depart to Montreal， we will arrive at the Olympic Park in Montreal and you may take an optional tour there to visit Montreal tower (Fee Applied). We'll then travel to the Olympic Stadium (optional， admission not included) we will spend the night in Montreal. In the morning， we will visit the famous Notre Dame Basilica (Donation CAD$6 /person [Will not be allowed to visit if there are any large-scale events/ in the midst of a Sunday mass] Afterwards， we will head to Thousand Islands region， and take the optional tour of Thousand Islands Cruise (Apr – Oct ) (optional， admission not included) or Thousand Islands Helicopter Ride (optional， admission not included) through this beautiful area (Depending on local weather conditions visit time may be adjusted).. At dusk， return to Toronto， ending the exciting 4-day Canada east tour. All meals， admission fees or attractions. Gratuities to bus driver and tour guide CAD$14.00 per day per customer and all personal expense. Please choose at least 4 optional tours (except donation options) which are in season otherwise there will be CAD$45.00/person penalty fee. All fares are based on CAD， for guest only carried USD， should pay extra expense from difference in exchange rate. *The arrangement of your trip may be varied， due to the weather， traffic etc... Please follow your final itinerary. * If there is a hotel accommodation arrangement on the day， it will be returned to the hotel after the trip is over. Please understand. *In order for you to have a wonderful trip experience， we will do our best to substitute similar options if the attractions listed in the itinerary cannot be visited due to any unforeseen circumstances.